In La Quinta and the entire Riverside county, All Counties Fence and Supply is the dependable, seasoned source for fencing and outdoor services. Whether your needs are personal or commercial, you’ll find the help required to complete your project to the highest professional standard. 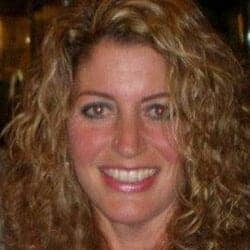 You’ll also find outstanding pricing that keeps your budget intact. In addition, we carry a complete inventory of affordable, high-quality supplies for do-it-yourselfers and construction professionals. 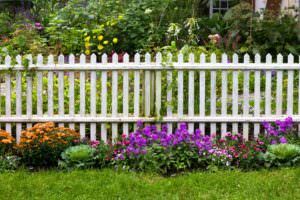 Wood Fences – Wood fences enjoy enduring popularity for a range of reasons, including their organic appearance and the availability of a wide variety of styles that help protect your privacy. 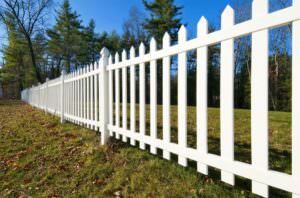 Fences in this category can also last for extended periods of time when you take steps to maintain them. The All Counties inventory includes only the best wood fencing options. Choose from naturally milled cedar or redwood, or the durable composite Rightwood. Regardless of your material selection, our mill-direct pricing will help you stay in budget. Iron Fences – Iron fences are another popular choice, largely for their combination of attractiveness, toughness and proven security advantages. What’s more, these pluses come without significant reduction of your line of sight. 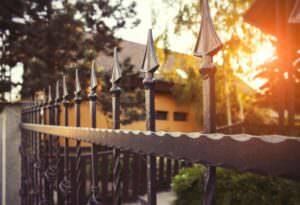 Undoubtedly, an iron fence installation can cost you more than other available options. However, property owners often recoup much of their upfront investment through a reduced need for ongoing maintenance and materials replacement. All Counties carries a modernized version of the iron fence made from galvanized, tubular-gauge steel. This material provides all the pluses of metal construction, as well as a superior surface for priming, painting and powder-coating. Vinyl Fences – Fences made from vinyl were once notorious for their low production quality and general poor appearance. Today, however, changes in manufacturing technology have led to a dramatic increase in the durability, available range of styles and visual appeal of vinyl options. Importantly, you can take advantage of these improvements while still keeping the cost of purchase low. Industry favorite Ply Gem is All Counties’ source for the best in vinyl fencing. These products pair stylistic choice with premium quality. 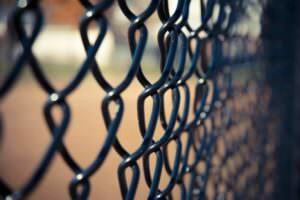 Chain Link Fences – No other fencing material surpasses chain link in the versatility department. That’s why you’ll see products in this category used in such a broad range of residential, commercial and recreational settings. Chain link is also popular because it has a low initial cost and doesn’t require a lot of maintenance to remain in good condition for extended periods of time. In this fencing category, we feature super-tough products manufactured with fire-rated glass. Call on us for new installations or the replacement of an existing fence. Specialty Fences – There are basically two subtypes of specialty fencing: products that come with unique or unusual design features and products designed for limited or specific purposes. Specialty products found in homes and businesses include cable fences and transparent or opaque glass-wall fences. Products used in more limited settings include metal pipe fences and wood pole fences installed as field boundaries and large animal enclosures. At All Counties, all of our top-of-the-line specialty options are installed with expert care. Landscaping – Landscaping projects rely on the use of trees, shrubbery and other organic materials for property contouring and modification. We supply and install all of the materials required for small- and large-scale landscaping. In addition to all visible materials, this includes critical but unseen elements such as watering systems and drainage systems. Our services also include detailed planning assistance and advice for ongoing maintenance. We also stock and install a variety of accessories commonly used to complete hardscaping projects. Wall Construction – Wall construction actually qualifies as a variety of hardscaping. However, since projects in this category require a high degree of technical and aesthetic expertise, we treat them as a separate undertaking. Whatever your reasons for constructing a wall (e.g., soil stabilization or enhanced privacy), we have the training and experience needed to work with stone, concrete or masonry. La Quinta is located in Riverside County’s Coachella Valley, near Palm Desert and Indian Wells. The city has a longstanding reputation as a resort destination. With 20-plus golf courses surrounding its roughly 38,000 inhabitants, La Quinta is especially well-known to both amateur and professional lovers of this sport. Residents and tourists also have ready access to a visible portion of the famous San Andreas fault, which runs near the community’s border. The Santa Rosa Mountains serve as another popular geographical attraction. Every year, the neighboring City of Indio plays host to the world-famous Coachella Valley Music and Arts Festival. All Counties Fence and Supply serves the homeowners and businesses of La Quinta from our home base in Riverside. For four decades, we’ve provided all of Coachella Valley and Riverside County with proven installation expertise and premium-quality supplies. No matter the size of your project, we can complete it for you or provide the required materials. Contact us today or come see our extensive showroom in person.